Let us introduce you to our friend Mercedes. As you can see from her photo, Mercedes is a lovely young woman…a little shy when you first get to know her, but just a lovely soul inside and out. Like a lot of young ladies, Mercedes enjoys doing her hair and makeup. And the only thing she loves more than cooking is eating Chinese food! But, as you might guess, life’s not always fair, and not every day is a good day for Mercedes. 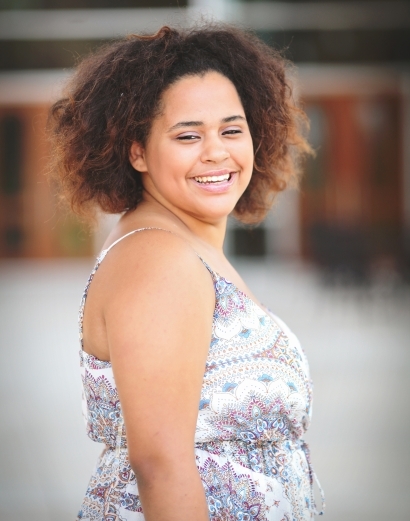 Because of the trauma and neglect she experienced before coming into foster care, she struggles with self-esteem and sometimes isn’t sure how to process all of her experiences and emotions in a positive way. But Mercedes is one of the most resilient youth we know, and she works hard every day to add more coping skills to her toolbox. Her new family will need to have two parents and other children to help her feel safe and fully supported by a whole family. Mercedes is a great big sister but would also like to have an older sibling to look up to. She loves the idea of family and being together with people who love and support her, so pack up the kiddos and the pets and come learn a little more about Team Mercedes!